Heather is an experienced singer, actor and dancer. She has danced since the age of four and has trained extensively in singing and acting for more than 20 years. She has performed locally and nationally, including at The Savoy Theatre with the original London cast of Legally Blonde, as part of the BBC TV programme Tonight’s The Night with John Barrowman. Heather studied acting at Birmingham School of Acting, KTV Actors Studio, London, and most recently as a member of The Actors TV Workshop, Nottingham. Her many musical theatre roles have included Chris in Calendar Girls; Mari Hoff in The Rise and Fall Of Little Voice; Emma Carew in Jekyll and Hyde and Miss Berta in Acorn Antiques. She has also played Prince Charming in a UK professional tour of Sleeping Beauty with Fame Factory Spotlight. As a singer, Heather performed for several years, as a solo cabaret artiste. 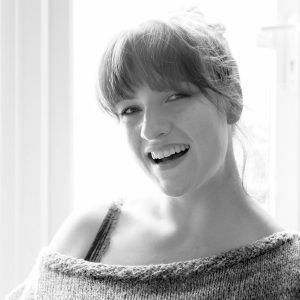 She studied singing to ALCM level (musical theatre) under Anne Leatherland of VocAL Intuition and is currently studying with West End voice experts Gillyanne Kayes and Jeremy Fisher as part of the Vocal Process Advanced training course. 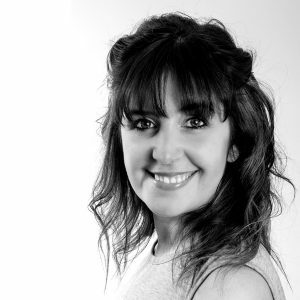 Heather is a VocAL Intuition singing teacher who works with students of all ages and experience at studios in Burton-on-Trent and Ashby de la Zouch. Heather’s focus is on integrating acting with song for a complete performance, with a key emphasis on safe and healthy vocal technique. In 2016, Heather completed a BSc Hons majoring in Psychological Studies and Mental Health. Alongside being StageScreen Principal and teaching private lessons, Heather is also looking forward to studying the effects of singing and mental health in various settings. Heather says: “I am extremely proud of StageScreen and I’m looking forward to working alongside some wonderful industry professionals to provide local students with an amazing opportunity to work on a unique and complementary combination of specialist areas. Our aim at StageScreen is to encourage students to explore new worlds, new mediums and new situations in a safe and professional environment”. Jack trained at the University of Winchester and has a BA (Hons) in Musical Theatre. He has been performing since an early age and enjoys both musical theatre and straight acting. Jack has a range of a skills under his belt with not only being trained in musical theatre and acting, but also worked closely with different disciplines in performing arts such as physical theatre, puppetry & object manipulation, immersive theatre and acting through song. Over 10 years Jack and has appeared in shows such as Half a Sixpence, Guys and Dolls, Honk and many more. Jack was the first person in the UK to originate the role as The Prime minister in the Amateur version of Made in Dagenham. He recently played the role of Gangster Boss Curtis in Sister Act and The Rhino in Just So. Jacks directing credits include Anything Goes, Jungle Book, Aristocrats and ‘The Gruffalo”. 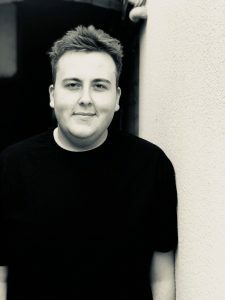 Jack has worked on many comedy and straight plays such as John Godber’s “Bouncers & Shakers” and also played the part of Salty in Teechers and Eddie in Willy Russell’s “Blood Brothers”. 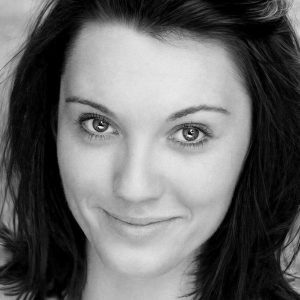 Megan-Louise trained at The School of Creative Arts in Blackpool and has a BA Hons in Musical Theatre. She was a member of the UK’s prestigious national Youth Music Theatre for four years. She has knowledge of a wide variety of musical styles and established her own company, Perfect Fifth Events with fellow graduate Keeley Harrison, which provides professional performers for charity and corporate events, weddings and other family celebrations. Her experience includes two years of touring the Midlands with soul band, Soul Junction; performing with The City of Birmingham Young Voices; performing with the City of Birmingham Symphony Youth Chorus and undertaking a tour of cathedrals performing Born For This, a contemporary, musical depiction of the Stations of the Cross. Since 2004 she has appeared as part of the celebrate chorus which features in the concerts of singer-songwriter duo Boyce & Stanley. She toured the West Midlands in the Eva Long production of Mother Goose at Christmas 2012 and played the lead role of Emily in the Lichfield Garrick community musical The Hired Man in 2016. Megan-Louise has trained in advanced vocal techniques with West End voice experts Gillyanne Kayes and Jeremy Fisher as well as Zoe Tyler and Tom Pearce. She has appeared on BBC TV for Children In Need and Songs of Praise. She performed with Aled Jones on his version of No Wars Will Stop Us Singing. In May 2005, Megan-Louise performed at Buckingham Palace and two years later at Westminster Abbey for Her Majesty The Queen, His Royal Highness The Duke of Edinburgh and 2000 guests as part of Commonwealth Observance Day. Tilley is an award-winning film maker and animator based in Ashby de la Zouch, Leicestershire. As well as working for theatre and television she founded Red Door Studios in 2007, where her team produces a wide and varied collection of film, animation and media projects. Tilley studied at the Birmingham Institute of Art and Design. Afterwards, she was offered a bursary by Light House Media Centre to make her first independent film Onions, an animated tale of daring rabbits, which was nominated for a British Animation Award. Tilley went on to work with Tussauds Art Studios and, later, Burton-on-Trent’s Brewhouse Arts Centre, where she created animation and film for the local authority. During her time as a director and producer, Tilley has delivered talks, workshops and master classes for the British Film Institute and at schools, colleges, film festivals and events across the UK. She taught media studies at St Peter’s Collegiate School, Wolverhampton, for a year and tutored a group of young film makers in Shropshire who won the prestigious First Light Award. Tilley has a string of awards to her name including a D&AD Yellow Pencil, a Royal Television Society award and nominations for two British Animation Awards. Her films have been shown at the Chicago International Animation Festival, the film festival in Cannes and other international events. Tilley said: “I’m thrilled to be a part of this new school. It’s a chance for me to work alongside some extremely talented practitioners and to pass on my knowledge to the students.